Pitchfork Media says "Montréal multi-instrumentalist Charlotte Oline makes hushed folk as Sea Oleena" but to end the description there is an understatement. Her unique style of folk is lovingly draped in a refined blend of shoegaze and ambient melodies that cradle fragile song structures and lyrical interplay. Seemingly simple songs have layers of textures that swirl, vanish and return like clouds in the wind. Oline's first physical release collects her "Sleeplessness" album on side A and her self-titled EP on side B. 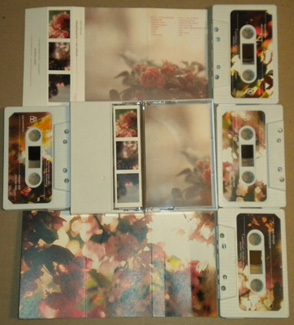 First edition of 150 pro-duplicated chrome cassettes with full-color labels and doublesided printing on heavyweight matte stock.